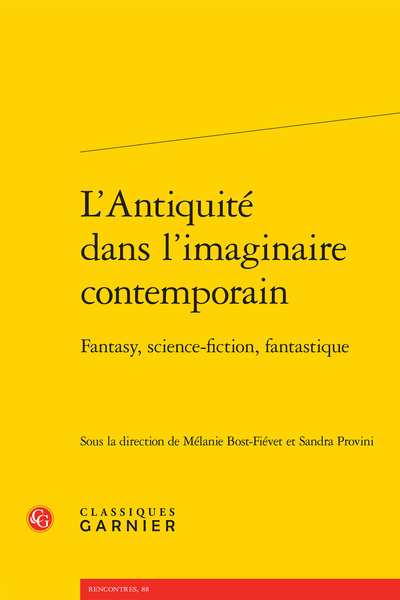 Abstract: This volume, the proceedings of an international conference, gathers scholars from various fields in order to explore the many modes of classical reception in the contemporary genres of fantasy, science-fiction and the fantastic, be it by refashioning narrative or of mythological patterns, by borrowing from realia or by revamping them. Les moutons électriques rêvent-ils d’Héraclite ? « Our last, best hope for peace » ?